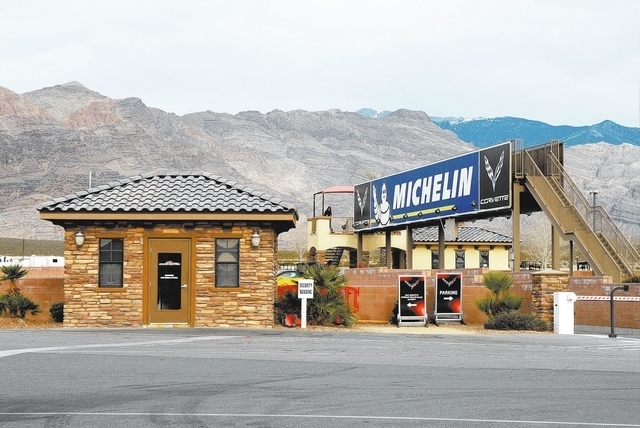 During a special Nye County Commission conference call Wednesday morning, the board approved a resolution, to be drafted later, to acquire a water utility system at Spring Mountain Motor Sports Ranch. 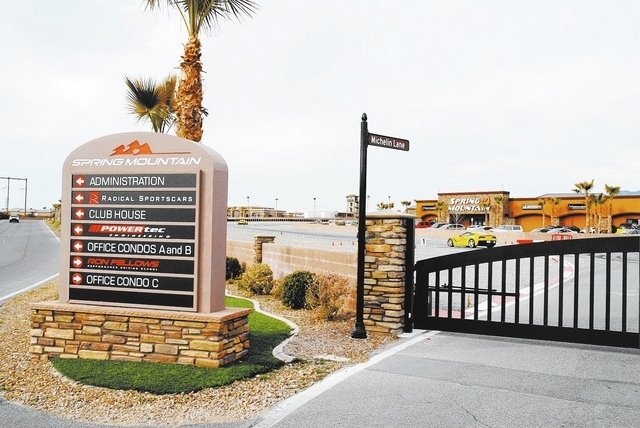 The Pahrump Regional Planning Commission last November approved a 77-lot subdivision, Spring Mountain Estates, with lot sizes ranging from 11,925 square feet up to 23,995 square feet, on an additional 120 acres the racetrack’s owners acquired from the BLM east of the track. Developers wouldn’t have to go through the Nevada Public Utilities Commission if the county owned the system. The PUC doesn’t want to issue any more permits for small, package sewer plants and lots would have to be a minimum of one acre for a well and septic system. The Spring Mountain complex — the driving school buildings, clubhouse, garages and other facilities — are currently served by two wells and five commercial septic systems, according to Russ Meads, owner of Double M Construction. Meads said having to hook up to Utilities Inc. of Central Nevada, which services the nearby Mountain Falls subdivision, would require developers to design, build and engineer a water and sewer system for UICN with no expansion. Double M envisions a sewer treatment plant with a capacity of treating 80,000 to 100,000 gallons per day, smaller than the Mountain Falls treatment plant. Restaurants, retail shops and a hotel are all being considered at the fast car country club. Nye County Water District General Manager Darrell Lacy endorsed the plan, which could also allow the county to serve the town fairgrounds property in the future, across Highway 160. The county drilled a well on the 427-acre fairground site, using a $198,400 grant, but it’s been capped. “We have an opportunity to support a very large, mixed use development out there that’s both commercial, residential and an expansion of the racetrack itself. One of the hurdles to moving forward with this is the development of utilities at the racetrack facility itself. From a county perspective, we think this is a very good project we would like to support,” he said. The takeover was approved by a 3-1 vote. Commissioner Donna Cox was opposed. Commissioner Lorinda Wichman didn’t participate in the conference call. Cox said she didn’t have any backup information on the proposal. Commission Chairman Dan Schinhofen said commissioners were asked to vote on a resolution, still to be drafted, approving the acquisition. District Attorney Brian Kunzi said developers wanted a commitment from the county to accept their sewer plant once constructed, before they lose time on their development. “They are going to construct the sewer facility to service residential and commercial development there and that will be given to the county free of charge. So there’s going to be no charge to the county,” Kunzi said. Schinhofen was all for it. County commissioners last June voted against acquiring Pahrump Utility Company for $5.5 million, an existing water and sewer system serving the Artesia and Cottonwoods subdivisions, Concordia Homes Pleasant Valley subdivision, Beazer Homes Burson Ranch subdivision, two elementary schools and Lakeside Casino. The owners, the Hafen family, who constructed the utility to serve their developments but no longer wanted to be in the utility business, offered to operate the system during a three-year transition period for a $514,500 annual fee. The utility company was overbuilt, using only 7.5 percent of its water capacity and 18 percent of its sewer capacity. 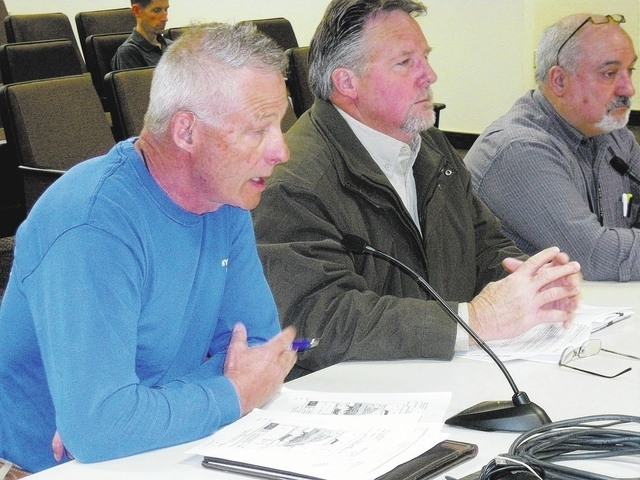 “One of the advantages of doing this project is that we could then potentially provide water and sewer services for the fairgrounds in the future, if you decide to move forward and negotiate with the town. But the question for today is specifically for the racetrack area itself. Just by having that in the future would allow us to look at other alternatives in the future that would be a benefit to us,” Lacy said. 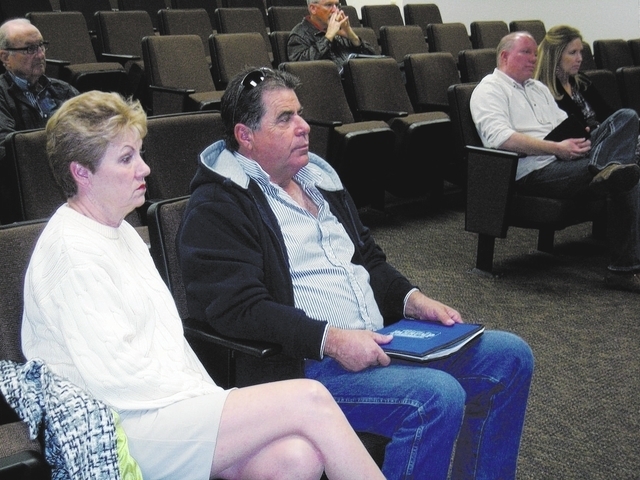 Pahrump Town Manager Susan Holecheck and Pahrump Buildings and Grounds Supervisor Matt Luis were listening to the discussion. Holecheck said afterwards it would be a great opportunity for the town and county to work together on a long-range plan for the fairgrounds, which includes talk of a rodeo arena, soccer fields and other facilities. Public Works Utility Superintendent Jack Osborne said there are already 19 utility systems managed by the county. They include Gabbs, Manhattan and now the Beatty water and sewer systems; Amargosa Valley Elementary School, park and town complex; the Nye County complex; Pahrump Museum; Longstreet Fire House; Pahrump landfill; Crystal Park and Crystal Firehouse; Currant Creek County Yard and emergency medical service; Belmont EMS and the Smoky Valley Rodeo Grounds.